This week demolition began on the Brauer Supply building at the southeast corner of Forest Park and Boyle in the Cortex district. A gaping hole is visible at the back of the Brauer building to the left and beyond the rehabilitated @4240 building which opened last summer and has already and recently achieved 90% occupancy. A view of the Brauer Supply building from Forest Park. Back in April 2011 the St. Louis Preservation Board was to consider three buildings for listing on the National Register: the @4240 building, built as a SWB Telephone Distribution House, the Crescent building on Duncan west of Boyle, built as a printing facility for the St. Louis Post Dispatch, and the Brauer Supply building, which was constructed in 1919 as the J.I. Case Threshing Machine Company Branch House. This presumably was a sign that the three buildings would be rehabilitated using historic tax credits to serve new functions. Unfortunately the Brauer Supply building was not listed and no listing seems to be present for the Crescent building either, although I have heard people say that it is earmarked for renovation. 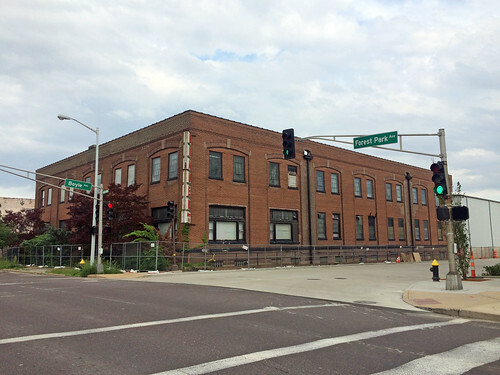 Instead of renovation, the Brauer Supply building will be demolished for a new 3-story 60,000 s.f. 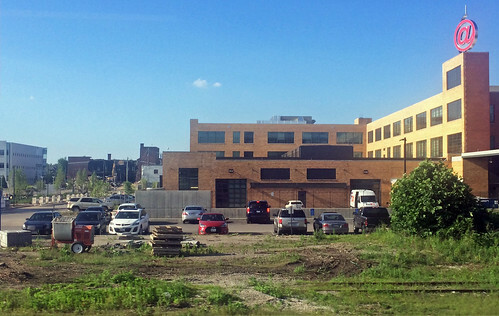 building to be built by Cortex. 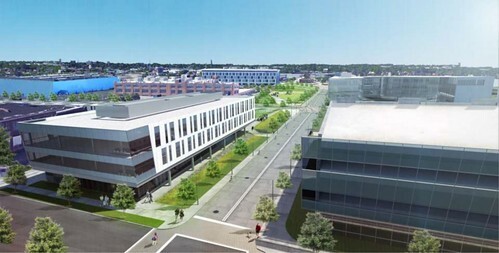 The new building cuts and pastes designs from the Cortex I building across Boyle that opened in 2006 and the BJC Commons building to the south that opened in 2013. 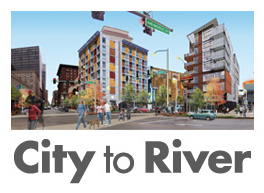 So much for innovative architecture in an innovation district! According to a story by Maria Altman of St. Louis Public Radio, there where no less than two assessments of the Brauer Building with intentions of rehabilitation, but the decision to demolish and build new apparently came down to costs. Above is a reuse study completed by Cross Street Partners which included concept plans for rehabilitation of the Brauer building and a series of adjacent one-story historic buildings on the north side of Duncan with a total of 95,000 s.f. of renovated space. 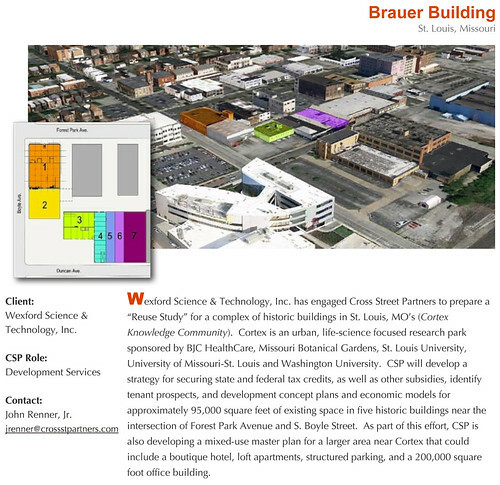 I find it odd that Cortex's CEO stated in the STL Public Radio story said that the Brauer Building would have been difficult to make work for Tech Shop, who will be an anchor tenant in the new building. 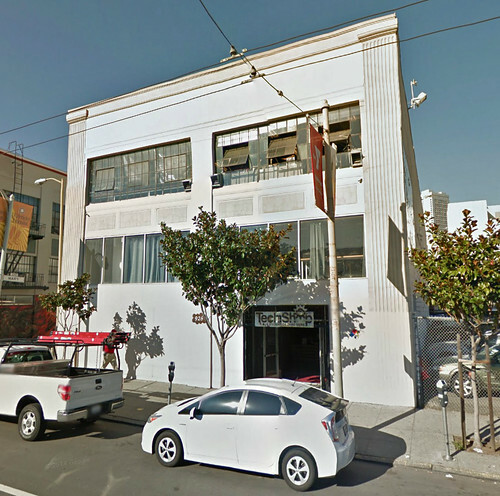 The Streetview shot above is of Tech Shop's San Francisco location, which is housed in an old warehouse building in the SOMA district that appears to date from the 1920's or 1930's. Here is a photo of the interior of the SF Tech Shop from their website. In Fargo, North Dakota another J.I. 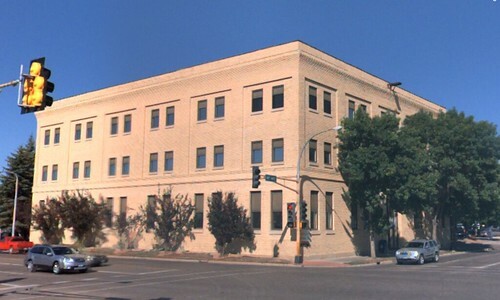 Case Threshing Machine Company Branch House with almost the exact same footprint of the Brauer building continues service as an office building. It will soon lose its sister in St. Louis.